I'm just going to file this under "Absurd." 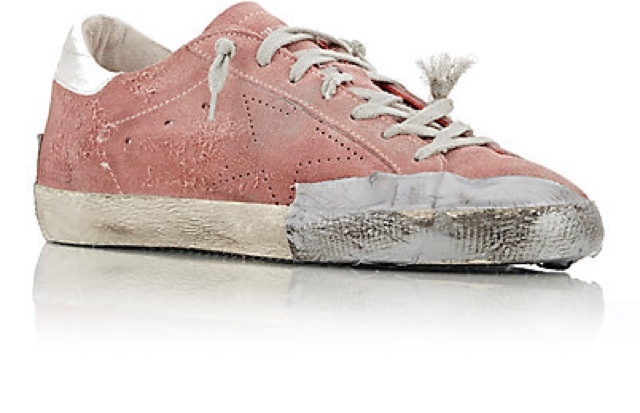 High end retailers are selling these Golden Goose distressed sneakers for approximately $600 and I'm trying so hard to understand the appeal. Is irony that on trend? I'm so confused. Would you buy these? When I was a teenager read in some astrology book something to the effect of Scorpios tending to end up living alone as they got older. I can't remember exactly what it said but I remember feeling profoundly saddened by the thought. I mean, I couldn't comprehend the notion of going to a movie or eating in a diner alone let alone living alone. I'd see people having coffee by themselves and automatically assume they had no one to be with and I felt pity for their loneliness. It never occurred to me that they may have actually chosen to enjoy a quiet moment to themselves. As I got older and became a mother I've experienced times when alone time was a precious commodity and on more than one occasion I've literally hidden out in my bathroom for reprieve, however brief. My children got older and pursued me less and less (avoided me in some cases) and the novelty of being alone just became a reality for me. Especially whenever my husband deployed. What could I do? Not see a movie, eat out or travel? Then it all made sense. Not feeling pressured to make conversation. To be alone with my thoughts. I've learned to cherish my time with myself. More and more I'm venturing out on my own and enjoying my solitude.